Just after Trelawny’s Army Annual Dinner & Dance thoughts turn towards springtime and Cornwall’s annual quest for it’s “Holy Grail”, winning the County Championship, or as it is now called the Bill Beaumont Cup. Last Wednesday evening players, coaches and officials from the CRFU gathered at Kingsley Village to lay down the route map for this season’s campaign, the first for many years without Dave “Benji” Thomas at the helm. However, in Graham Dawe, the Cornwall RFU have appointed a proven winner with a professional mindset when it comes to rugby. Ian Morgan is also on board, whilst London Cornish Director of Rugby Dickon Moon is once again part of this season’s coaching set up with no doubt “special duties” with his keen analytical eye for detail! 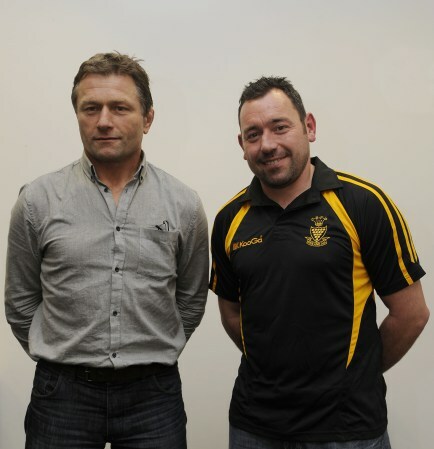 Dawe has seen it all before and he is in no doubt especially after last season’s trip to Twickenham when Cornwall lost the final to Lancashire, that the Cornish supporters hope that under his guidance Cornwall can again bring the title back across the Tamar. Asked about the reasons he took on the role he was quite unequivocal. “Cornwall gave me my first representative honours and that was very much a stepping stone for me to move on to have the career in the game I enjoyed, by playing for Cornwall that brought me into the spotlight and opened some doors for me. I was a very determined player and I had set goals of what I wanted to achieve, my first goal was to play for Cornwall and that led to me then going to Bath and the rest. He knows only too well that the Cornish people crave success from their county side. He said. “It’s the hardest thing, the massive expectations from the people in Cornwall, we’ve got to live with it, there is no point in trying to hide away from it. We’ve got to move forward and do the best with the players we have. The competition comes at the end of a hard long season and you have deal with that, but also it’s a change for the players something a little different to what they have been involved in during the season so hopefully they will respond to it as a fresh challenge. 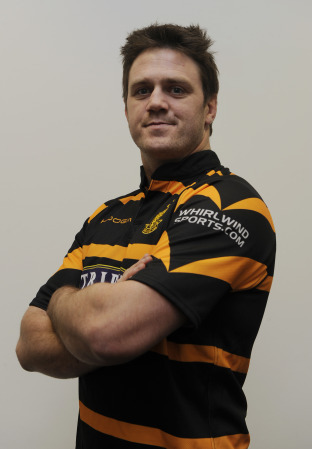 “I have had some great days playing for Cornwall with wonderful support for the teams I played in, the Cornish people have always got behind their team and supported it through thick and thin. There is no other county quite the same. 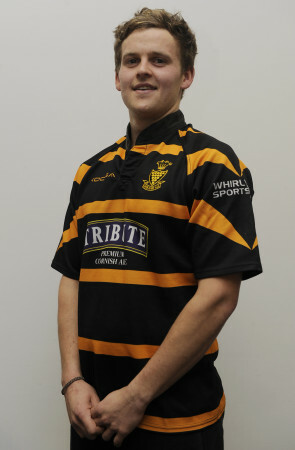 “Pulling on the Cornish shirt is a great identity for players, it’s something all Cornish rugby players aspire to, we have picked a large squad, but it’s not just about this season it’s about developing the county side for future years, some players may not get a chance this year but they will have been groomed for the future and will feel part of the set up. 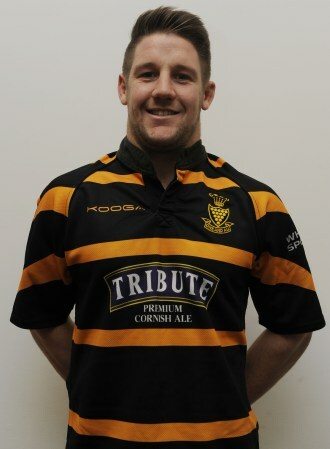 Confirmed as Cornwall’s captain for another season Cornish All Blacks’ Ben Hilton fresh from his exploits with England Counties this winter against France Fédérale and Ireland Clubs XV with both games lost frustratingly by a single point. Having first captained Cornwall when the county made a trip to Brittany to play Quimper in 2007 Hilton now looks forward to turning his attentions to another county campaign with hopefully another tilt at the title at rugby’s HQ. “I am both delighted and surprised to be confirmed as captain for another season, but it’s a role I relish and take great pride in. “It’s great to be back in Cornwall mode, chatting to players from the other clubs tonight, I was just talking to Chris Fuca (Redruth) and bouncing ideas off him about how we are going to do things it’s just brilliant to have that buzz back again. “Support is going to be crucial, let’s make no bones about it we got to Twickenham on the back of great support both at the away games and at Camborne, without the backing we wouldn’t have made it through. “Speaking to Lancashire’s Chris Johnson last week he told me if they make the final again they want to play Cornwall because of the wonderful atmosphere created at Twickenham by our supporters. “We definitely owe it to our supporters to go back and finish the job this year and that’s our aim. 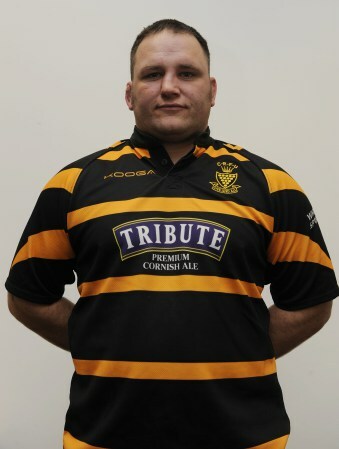 Another player who is looking forward to donning the Cornwall shirt again is Truro prop Darren Jacques. “I didn’t think I’d be back playing for Cornwall this season but after losing that final I felt I had to give it another crack, it’s great to see everyone coming together tonight and getting that buzz about Cornwall, it’s very special. “We have been really close the last two seasons I think the squad we have now has built up nicely over that period the core of the squad is still the same and we all desperately want to give the Cornish crowd something to cheer. It was also good to see try-scorer at Twickenham last season Lewis Vinnicombe also hoping to help Cornwall go all the way this season. Another player back in the mix is St. Austell’s Matt Shepherd who is once again enjoying a fine season with the Saints as they push for a place in the National Leagues. “It’s a massive honour to be involved in any Cornwall representative side, it’s always been an objective to play for Cornwall and last season being involved with the County Championship squad was very exciting getting to Twickenham but this year we really want to go all the way and go one step higher. “For me it would be wonderful to win promotion with St. Austell and go to Twickenham and win the County Championship with Cornwall a dream double. “With Cornwall it’s refreshing to team up with other players I find that it pushes you into bringing the best out of yourself. One of the new players to have made the squad this season and worthy recognition for his performances for the Reds is Murray Westren, younger brother of Cornish All Blacks centre Ryan. “I would love to have a chance to play it’s my first call up to the county squad. My brother has played all the age groups and for the senior side, myself as a latecomer to the game this is first time I have been involved in a county side at any level. “It’s a big squad but I’ll just have to see how things pan out a lot can happen as the games are close together if a chance comes my way I will take it. “I‘ve had a chance to prove my worth at Redruth this season moving from full back to the fly-half role has been a challenge but I feel that it’s now my preferred position on the park. “It would be nice to play on the same side as my brother as we always seem to play against each other, I think Dad would be pretty chuffed too! 1 Pings/Trackbacks for "CORNWALL AIM TO GO ONE BETTER"